Sign up for Broadjam today to follow Pastor John DeSorbo, and be notified when they upload new stuff or update their news! 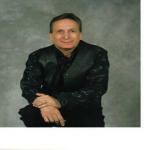 My name is Pastor John DeSorbo. I am a Christian/Country writer/performer/singer. The instruments I play are Drums, Keyboard, Guitar, Vocals and some Harmonica. My prayer is that my music touch the heart of the listener.